Recently I had the opportunity to go on a weekend adventure in Andorra, a tiny little country in the middle of the Pyrenees and completely landlocked by France and Spain. This country is essentially Park City, Aspen, Whistler, and Tahoe rolled into one. It's one big series of mountains, resorts, restaurants, and retail establishments. Before visiting we found that it was hard to figure out where to stay for the best access to gondolas, and which cities have the best location for nighttime activities, restaurants, etc. 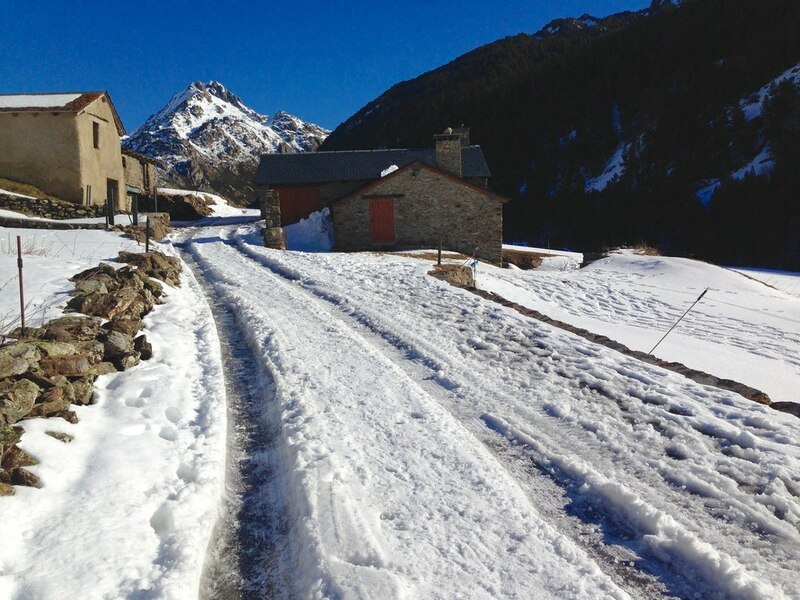 Because of this, I created a guide with all of the essential information for traveling to Andorra including where to stay, where to ski, where to eat, and what winter activities are available. If you're interested, you can download the guide here. Do not drive to the trailhead in a sedan that does not have 4-wheel drive. There are an incredible amount of hikes throughout Andorra and I decided to venture off to hike Vall d'Incles which had a trailhead 7km from where my friends were skiing and snowboarding for the day. Because the weather had been so warm, the streets were totally clear of snow and ice, so I took the car and hit the open road. It was the perfect day for my first time ever driving in a foreign country! I made it about 3km before I started to question my decision. I had turned onto a new road where there was a bit of snow on the ground, but the treads were clear, so I figured I would just keep driving until I found a place to park. After my hike I would simply turn the car around and drive back out. Brilliant. There was ice in the treads. The snow underneath the car was getting deeper. There wasn't going to be a place to turn around on this single track road. Decision time: Do I ditch the car, go for a hike, and come back for it in a few hours? I thought that maybe some of the snow would have melted by then making it easier to back out. However, I also thought about the already icy parts in the shade and the fact that I would be blocking the road for traffic going both directions. Alright, I'll just get out now and once I'm out I'll do something low key for a few hours until we head back to Barcelona. After 200 meters of slowly, cautiously backing out I saw a sedan driving towards me. Crap. I put the car in park, got out, and started walking towards the other car. In Spanish I let the couple know the problem: I couldn't turn around because my wheels would just spin and spin on the snow, so I needed to back out the kilometer they'd just driven in. The guy scoffed at me and started to turn down the nearby snow-covered driveway so that I could back out around him. Back and forth, back and forth he went and then his wheels just started spinning, and spinning, and spinning. For the next 30 minutes his girlfriend and I pushed and pushed, directed him how to adjust his car's wheels, used rocks to dig out around the wheels, and finally got his car back in the treads. Now time to back out the kilometer we'd driven in. There was a rock wall on one side and a ditch on the other and I wish I could tell you it was a pretty 10 minute sight. Let's just say I am thankful for people who were eager to get in my car's driver's seat and I'm also thankful for the object navigation that tells you when you're close to hitting something. An hour and a half after having left the ski gondola 3km away, I was back at the mountain with the car in one piece enjoying a beautiful mountain view from the safety of a restaurant. The only real negative was that the car may or may not have been missing half the clutch. That's why you get rentals, right?! If it's winter, bring your hiking/snow boots, and do your best to walk to the trailhead rather than drive. 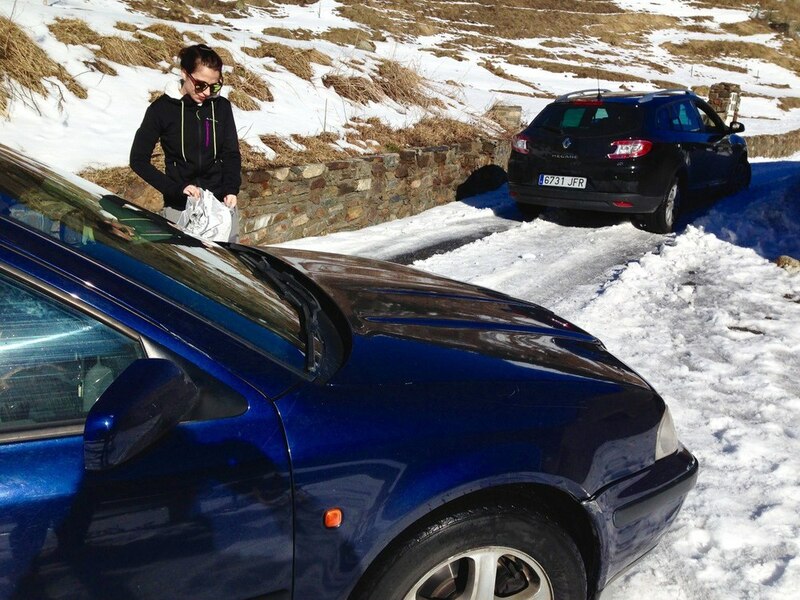 At minimum, talk to a tourist office about what the road conditions are like so that you know what you're in for. Mom, thank you for putting me in Spanish immersion elementary school so that I could communicate with the people in the car who wanted to continue down the treacherous path. Dad, thank you for teaching me to drive a clutch (although, on second thought, if you'd never taught me, I never would have tried to adventure in the car by myself...). Whew. I survived, and so will you. P.S. 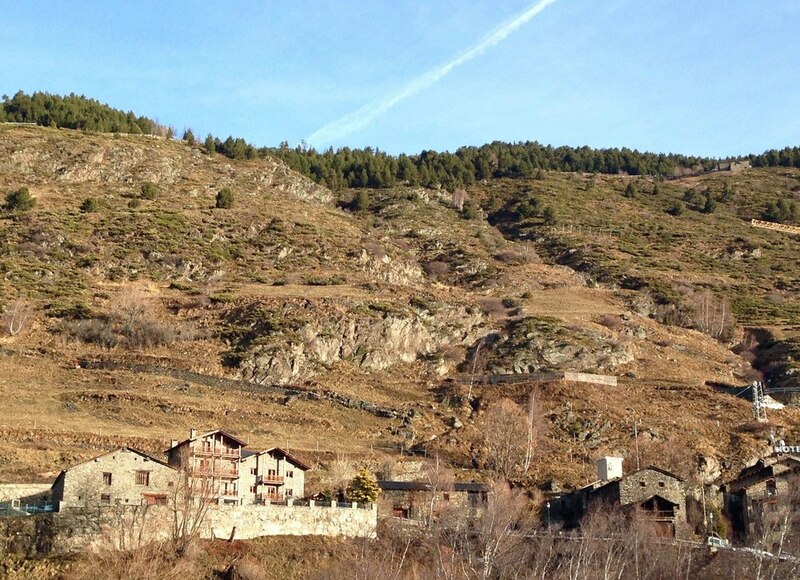 Need help planning your trip to Andorra? I promise I'm qualified to be your guide :)!